The Humidity and temperature transmitter PVT10 is intended for measurement of relative humidity, temperature and dew point value of air ensuring high accuracy and stability. The transmitter is designed for indoor use. Compact wall-mount plastic enclosure provides natural sensor ventilation. The RS485 interface supporting standard Modbus RTU protocol enables direct fieldbus networking of up to 240 devices. Analog outputs, configurable as 0-10 V or 4-20 mA, may be used to connect the transmitter to secondary devices like display panels or controllers. 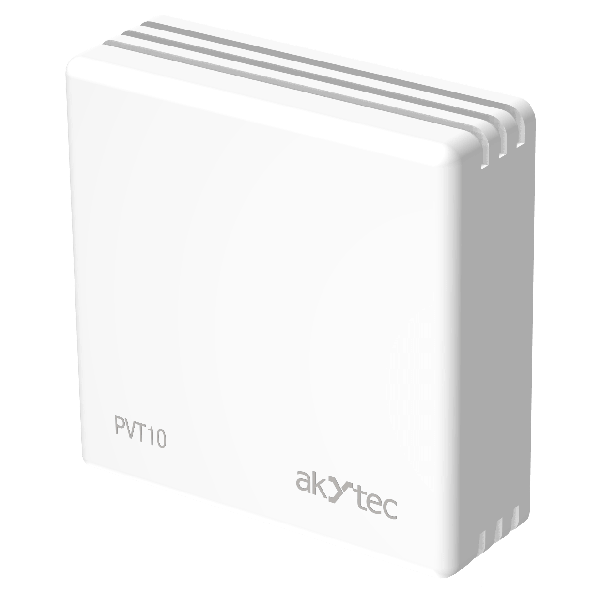 The transmitter PVT10 is applicable at home and office HVAC and building automation systems, e.g. in hotels, museums or datacenter.